Blackfish is a powerful, thriller of a documentary - blowing the lid off of what goes on behind the family-friendly facade of water parks that use sea mammals to make money. With the award-winning popularity of films like The Cove and shows like Whale Wars, this is certain to stir things up for Sea World and others. Did you ever wish that those individuals responsible for poisoning and polluting on a mass corporate scale could be confronted and held accountable? The East is political-fantasy thriller about a group of social and environmental activists whose aim is to do just that. But when they are infiltrated by an undercover agent, nothing is certain. The Act Of Killing is receiving reviews like I've never seen before. The Guardian is calling it "the most compelling thing you'll ever see". According to the LA Times it "could well change how you view the documentary form." Presented by Werner Herzog (Grizzly Man) and Errol Morris (The Fog of War), this chilling and powerful documentary goes deep inside the mind of genocidal death squad leaders who are celebrated as heroes. Ain't Them Bodies Saints is a rebel, love-story masterpiece set in 1970s Texas that is "A beautiful, densely textured elegy for outlaw lovers.... the film is a lovely thing to experience and possesses a measure of real power," according to Hollywood Reporter. Not only are the two leading stars of this film animal advocates, but the filmmakers are a set of Texan, powerhouse vegans including director/screenwriter David Lowery, and producers Toby Halbrooks and James M. Johnston (also co-owner of Spiral Diner). Producers Halbrooks and Johnston were named on Variety’s 10 producers to watch list, and David Lowery was listed in Variety’s 10 Directors to Watch. Girl Rising features "9 unforgettable girls—striving beyond circumstance, pushing past limits—spotlighted in a film about the strength of the human spirit and the power of education to change the world." 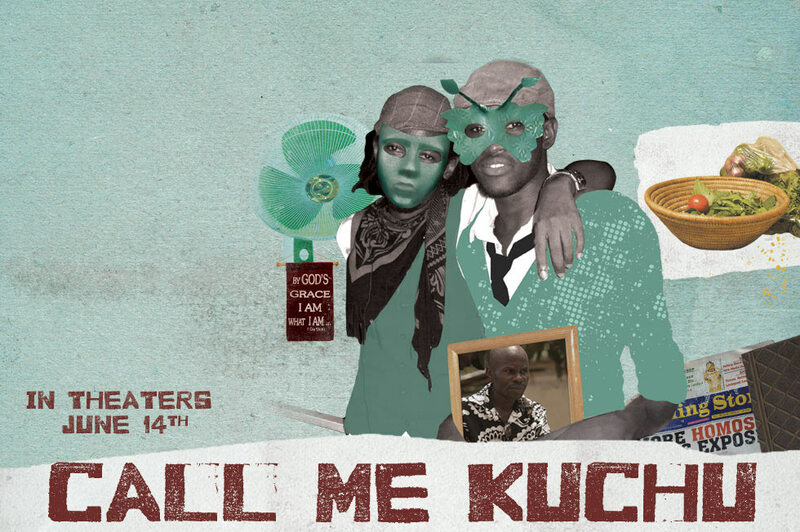 Call Me Kuchu is a dangerous and groundbreaking documentary. "In Uganda, a new bill threatens to make homosexuality punishable by death. David Kato, Uganda’s first openly gay man, and retired Anglican Bishop Christopher Senyonjo work against the clock to defeat state-sanctioned homophobia while combating vicious persecution in their daily lives. But no one is prepared for the brutal murder that shakes their movement to its core and sends shock waves around the world."